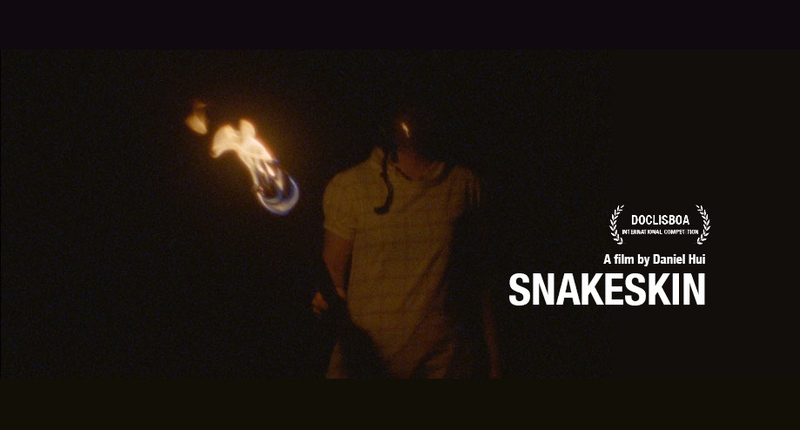 SNAKESKIN directed by Daniel Hui will world premiere in International Competition at the Doclisboa International Film Festival 2014. 18 Oct / 19.30, CULTURGEST – GRANDE AUD. In 2066, a survivor of an enigmatic cult recounts his country’s traumatic history and the events leading to the rise and fall of the cult. Through his reminiscence, ghosts from 2014 and before appear as witnesses. Part dream documentary, part city symphony, this film traces the lineage of oppression as inscribed in Singapore’s landscape and collective unconscious. For more information and updates, please visit the SNAKESKIN facebook page.